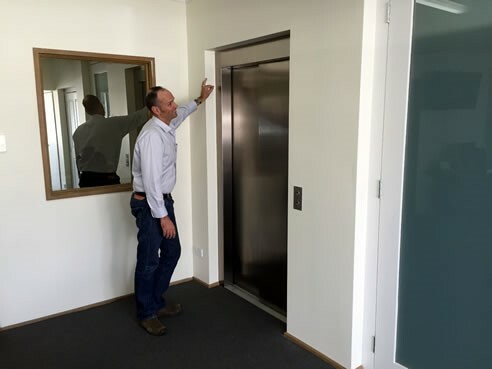 We often see specifications for lifts requiring travel speeds of 1.0m/sec or more. With the great heights that commercial and high rise buildings go to these days, speed is a very important factor in reducing the time (or wait) we have when travelling in a lift. But what if the building isn’t going a great height? What if the building is only two or three levels with a travel distance of only 3.0m or 6.0m? The specs coming across our desks still call up travel speeds of at least 1.0m/sec? This is understandable in certain situations where the lift might carry large loads or have to cope with moving large numbers of people or even move hospital beds up and down, but we are still seeing it when just basic DDA requirements are all that is needed? An interesting question that you should ask any lift company is “why does a lift travelling at 1.0m/sec over a height of 3.3m only arrive at its stop 3-4 seconds quicker than a hydraulic lift travelling the same distance at HALF the speed?” Surely at 1.0m/sec you would arrive at your destination in half the time!? The answer is that a high speed lift needs up to 1.5m to “ramp up” to full speed and then another 1.5 odd meters to “ramp down” to its stop. At 3.3m in this example, the lift reaches full speed only briefly before starting to slow again. Shotton Lifts hydraulic system achieves its speed within a few hundred millimetres of starting and if travelling at .5m/sec will only be a few seconds longer in waiting time than the MRL traction lift travelling at 1.0m/sec. So you don’t always have to use larger or faster lifts (with their deep pits and high overhead clearances) in low rise buildings and it is the waiting time that needs to be considered; not the speed. Give us a call to discuss the needs of your project and the savings on building costs by incorporating our structural tower design.